Projectionists played a key role in early movie theaters. Despite its central function, the job was not without occupational hazards. The projectionist strike of 1914 is one of the earliest examples of film workers organizing in New Orleans. Few details are known about its origins or outcomes, but accounts of its unfolding offer insight into the shifting cultural landscape of the early film economy. Although the union representing projectionists and other film workers, IATSE Local 478, was not incorporated in New Orleans until 1986, the strike illustrates that concern over workers' rights in the movie industry was an issue in the city even in the early days of Hollywood South. "Billy Bitzer seated at Movie Projector." 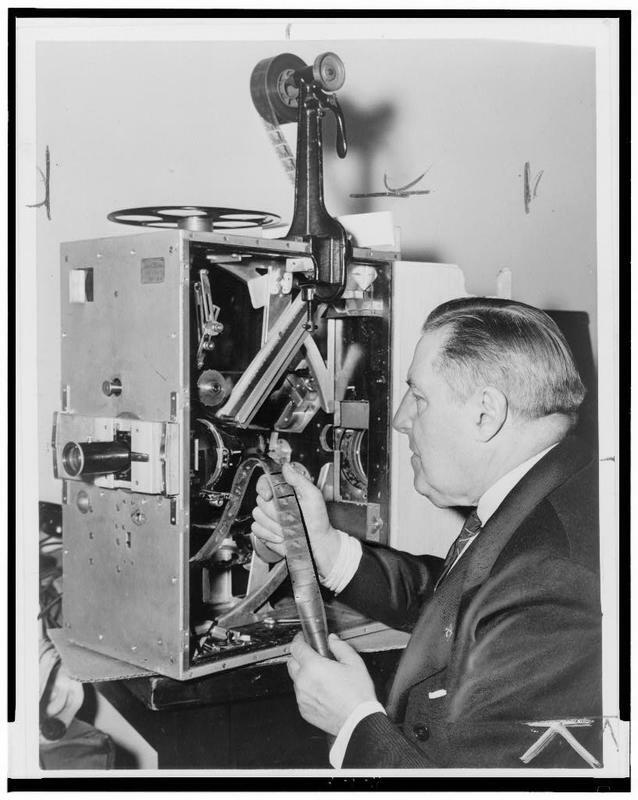 : A projectionist at work in the 1930s. ~ Source: Image courtesy of the Library of Congress. https://www.loc.gov/item/96501461/. ~ Creator: Photograph by Edward Lynch for The World Telegram & Sun. ~ Date: Created in the 1930s. 1000 Block of Canal Street, New Orleans, LA ~ Alamo Theater no longer extant. Jocelyn Horner and Kathryn O'Dwyer, Editor, “Projectionist Strike of 1914,” New Orleans Historical, accessed April 24, 2019, https://neworleanshistorical.org/items/show/601. Gosser, H. Mark, ‘The Bazar de la Charité Fire: The Reality, The Aftermath and the Telling’, Film History, vol. 10, no. 1 (1998), pp. 70-79. New Orleans Trouble,” Moving Picture World, Vol. 22, October-December 1914, pp. 929-930.